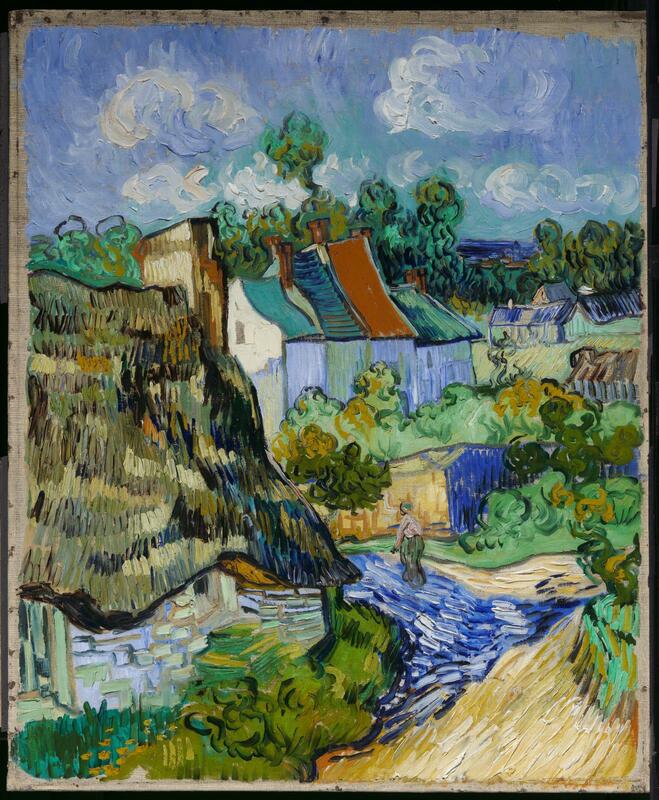 In May 1890, van Gogh moved from the south of France to Auvers, northwest of Paris, painting many of his finest pictures there in a feverish spurt of activity before his suicide in July. Houses at Auvers shows the landscape of early summer. The view from above creates a flattened tapestry of shapes in which the tiled and thatched roofs of the houses form a mesmerizing patchwork of color.